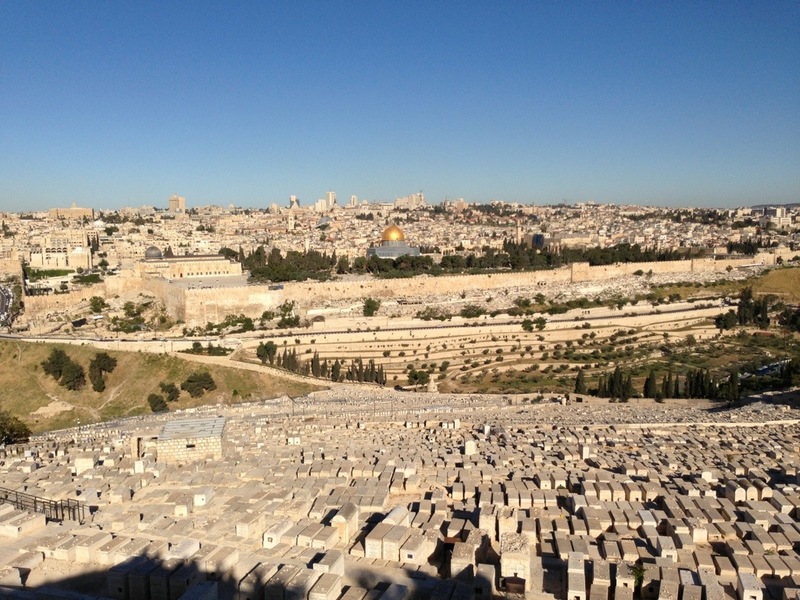 We began our adventure this morning overlooking the Temple Mount and old city of Jerusalem from the Mount of Olives. There is a fantastic panoramic view from where we stood. tombs) on His way to Jerusalem. Today is Memorial Day for Israel so all of the flags are flown at half-mast. Tomorrow, I believe, is Independence Day. Many of the members of our group took advantage of an opportunity to ride a camel at the Mount of Olives. It was funny watching each person take a turn on the camel. Jodi and I have had plenty of opportunities to ride camels in Egypt, so we saved our money and just enjoyed the entertainment.